On February 20, students from Professor Neriko Doerr’s Introduction to Anthropology course and the Upward Bound Math Science Program, under the direction of Dr. Sandra Suárez, met at the Paterson Museum to tour the space where the results of their collaborative research project on the use of reusable shopping bags will be displayed as part of the Paterson Eco-Chic II Exhibition this September. Paterson Eco-Chic II, under the Arts Grant Project Director Cristina Deutsch, is an eco- friendly fashion project designed for the Paterson Museum that highlights the importance of sustainable and environmental responsibility. Continuing the success of the previous exhibition “2017 Eco-Chic”, the current project proposes a closer look at the deleterious impact that plastic bags have on our environment. Ramapo College has provided independent study opportunities to Ramapo’s UBMS program so that 8 Paterson high school seniors can receive college credit while working on the project and has also supplied the project with beautifully designed reusable shopping bags for use during the study. Paterson Eco-Chic II is funded in part, through a grant from the New Jersey State Council on the Arts, and UBMS is funded through a TRiO grant from the U.S. Department of Education. 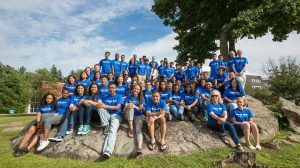 The Ramapo College Upward Bound Math Science Program is a Federal TRIO program funded by the U.S. Department of Education. The grant assists low-income students from Paterson public high schools and those with parents who have not attained a bachelor’s degree. The Ramapo College Upward Bound Math Science Program gives support to high school students with college potential. It is our goal to guide these students to successfully complete high school with the background and skills necessary to pursue post-secondary education in the areas of STEM – science, technology, engineering, and math. Saturday Sessions – students participate in science workshops to enhance and enrich their high school experience. Students are visited by Upward Bound staff at their respective high schools weekly. SAT/ACT prep courses for students throughout the year. Annual field trip to visit college campuses and enriching attractions. Workshops on financial aid, college admissions procedures and other relevant topics provided to both parents and students. The Academic year workshops are taught by Ramapo College faculty and other professionals from the community. 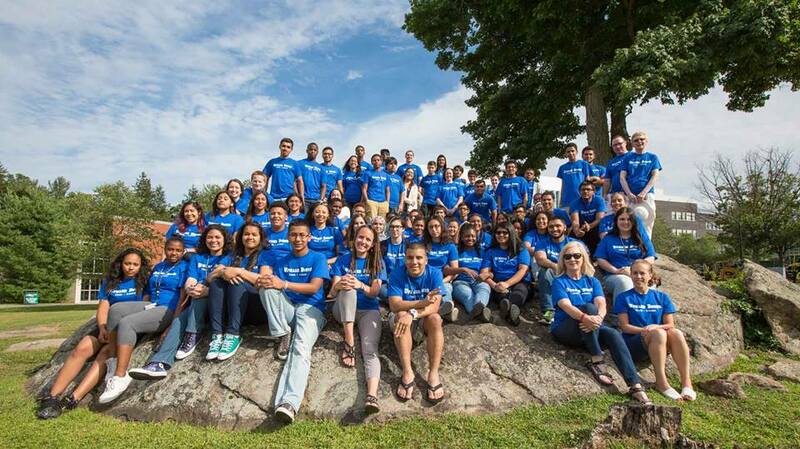 Participants spend six weeks during the summer living on the Ramapo College campus and taking specially designed courses in science, math, language arts, computer skills, foreign language, and problem solving skills. The summer courses are taught by certified high school teachers, and the curriculum is designed jointly by high school teachers and the Ramapo College math and science faculty. Afternoon and evenings are filled with study hall, cultural, and recreational activities. Participants are expected to stay in the program from the time he or she is admitted until graduation from high school. This includes attending each summer session and all monthly Saturday sessions after acceptance.